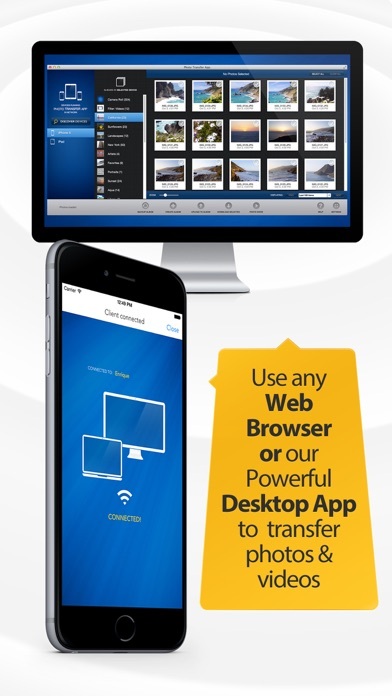 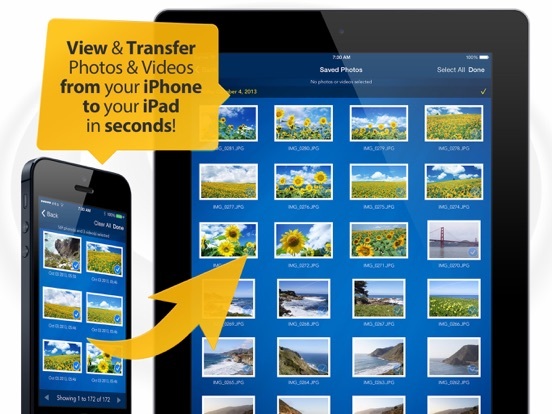 The Photo Transfer iPhone app is one of the best ways for you to be able to share your photos between your computer and your iPod Touch, iPad, or iPhone. 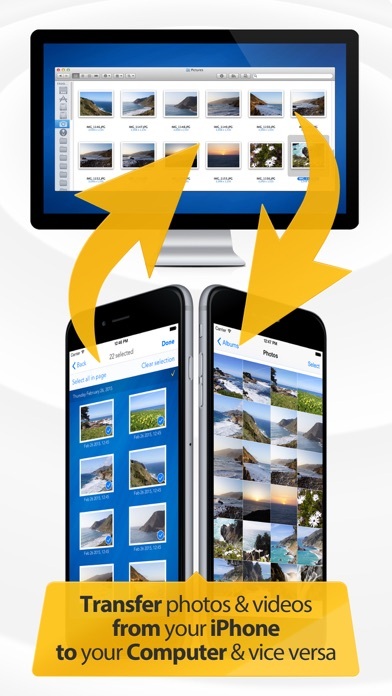 The app doesn’t require any extra software or any kind of cables. 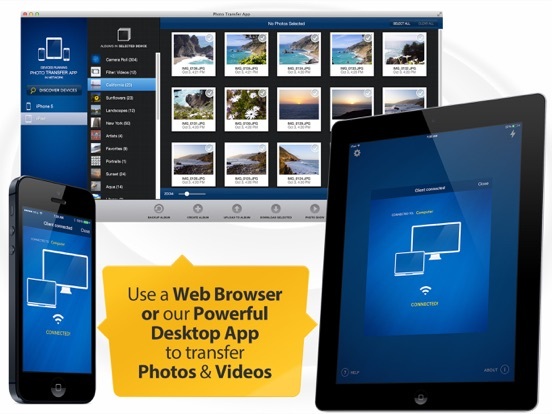 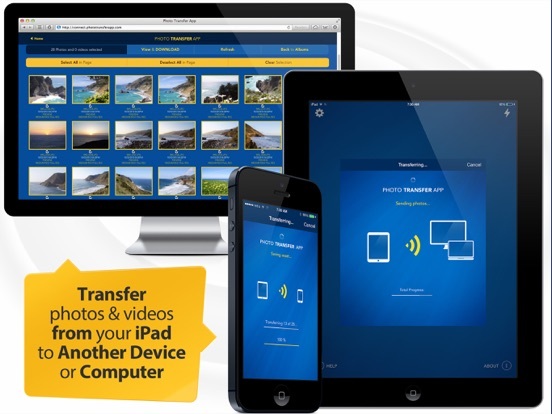 It just works quickly and efficiently to be able to download and transfer your photos. 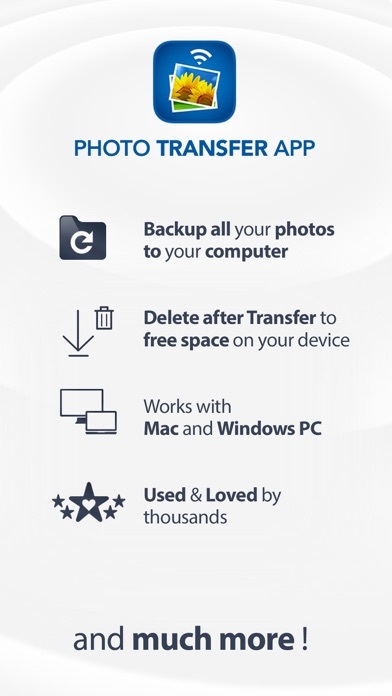 You can actually transfer up to 50 photos at the same time so that you don’t have to sit around and do them one by one like you would have to with other similar apps. 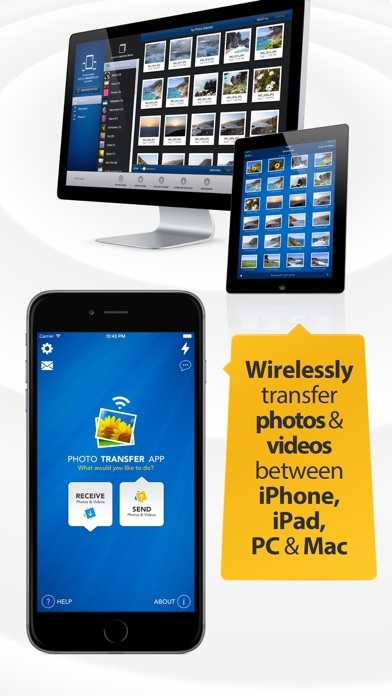 This app does a great job of transferring all images, including larger images, between computer and apple product. 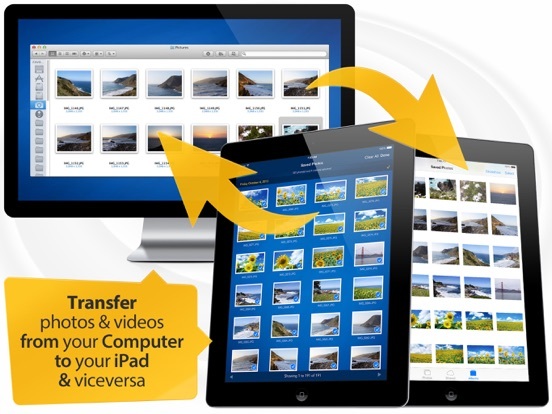 It doesn’t downsize the images and does all of the transfers very quickly and efficiently. 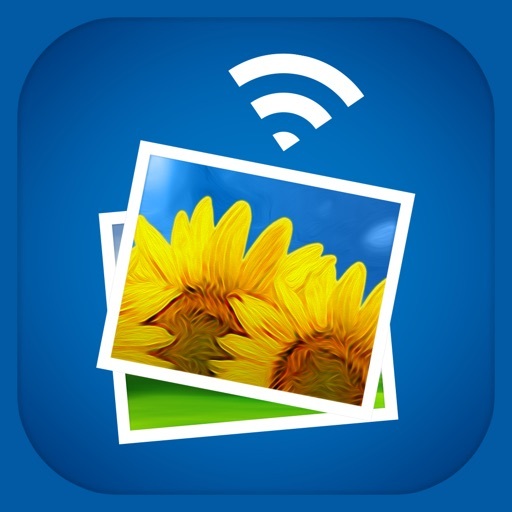 This app has been given a rating of 4 1/2 out of 5 stars and is actually a pretty impressive photography app. 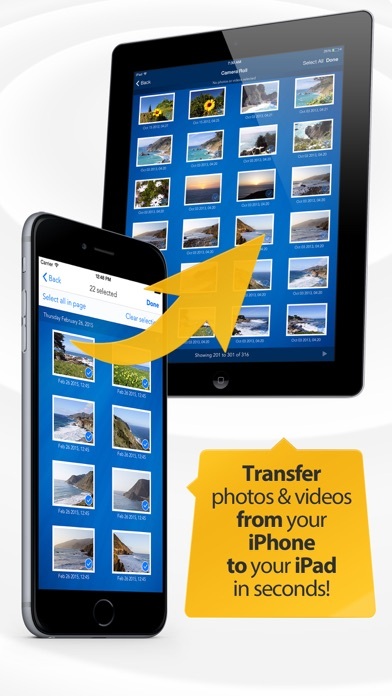 You can download this app onto your phone for only $2.99.